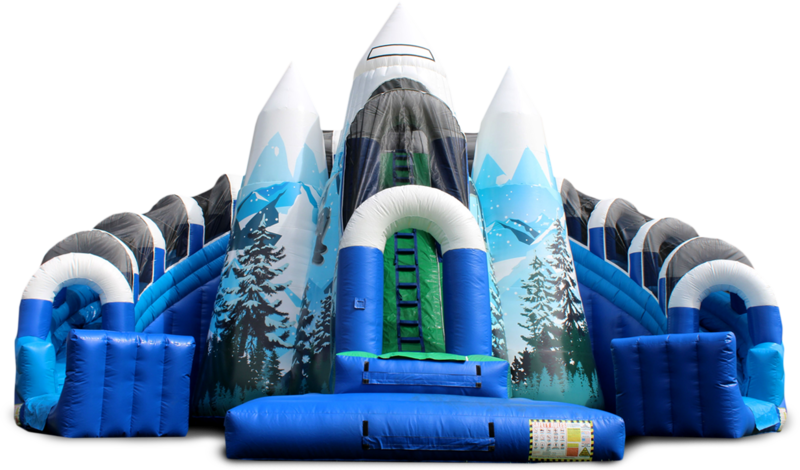 Avenge on your journey as you climb the 30 foot peak to the very top of the Everest Slide. When you finally reachthe summit, enjoy your adventure on whichever path you may choose as you come rushing back down the winding slopes. This adrenaline packed attraction can accommodate a high throughput of climbers per hour and is sure to be the main attraction at any event.